venues to fish in the North Eastern and Western regions of England. 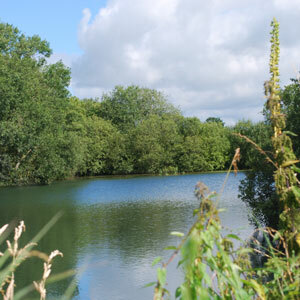 Our intention is to create and develop a variety of different waters with the aim of offering quality fishing for competent anglers that: look forward to their time on the bank, on their own or with friends, to catch and care for the quarry they seek, whilst respecting the environment and fellow anglers alike. During the spring of 2012 the Western Reservoir Syndicate was formed and successfully launched at Whittle Dene in Northumberland. Since then the Kingfisher Lakes Team have been kept more than a little busy developing three more waters situated at Peth Quarry near Longtown in Cumbria, the first of which the North Lake opened for fishing in June 2013. The second water on site, the South Lake opened for fishing in June 2014, and our third venue the Long Lake opened for fishing in June 2017. The complex of Lakes will be known as The North, South and Long Pond Syndicates. With the advent of Google Earth there’s no need to pour over OS maps or wait for the nod from a mate in the know. The waters are easy to find, but please don’t drop down for a look unannounced as uninvited visitors are not welcome. You may be challenged which in turn may seriously affect your chance of gaining Membership! Since receiving kind permission to develop the Lakes into waters suitable for carp angling the Kingfisher Lakes Team have been working tirelessly to create and establish these much needed venues for the region. There are no ghosts or mythical fish here, to the very best of our knowledge these waters have never been stocked with coarse fish, especially carp so can be classified as “virgin” waters with all the potential benefits to the carp and their growth rates such Lakes are capable of achieving. The venues have been stocked with a good number of fish that reflect the different nature and character of each water, which will in turn offer the carp angler a variety of different challenges on the same site. 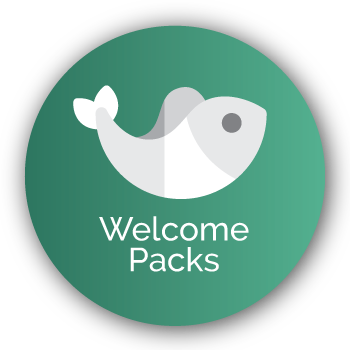 All of our fish have been reared on fish farms, or in our on site stock pond, and come from UK brood-stock; they have been stocked with full health certification and Section 30 Consent from the Environment Agency. Previous fisheries management experience has taught us that it is paramount to stock with young fish of a known age from proven strains in order to create the very best specimen carp waters, which is why none of the fish introduced were more than 6 years old when they were stocked. Since being introduced into our waters the carp have been making very good progress and are achieving very impressive growth rates and weight gains for venues sited this far north. This is no idle boast or an attempt to big up our venues, evidence supporting this claim is reported accurately, fairly and regularly in our Catch Reports which document the continuing progress the venues and their inhabitants are making. We are offering an opportunity for anglers to join us on a journey as we strive to develop our venues into the best specimen carp waters possible. We want to get to know you and for you to get to know and trust us, which is why we intend to be upfront, open and honest with you from the off, no stories just straight talking, and the facts and truth! 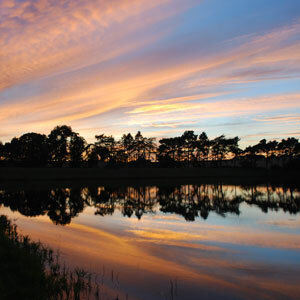 It’s not often venues in the Northern region of the UK can claim to offer a choice of three distinctly different and characteristic Lakes to fish on the same site, here at Kingfisher Lakes we can, and with a limited Membership and no restriction to the length of stay Members can relax and enjoy their fishing in peaceful and tranquil surroundings. If you wish to join our Syndicate please complete and submit our Application form! Kingfisher Lakes have a fully qualified project Team behind each venture, with many years of combined experience in fishery management. So rest assured when you venture on to the banks of one of our venues you will know that the water will be managed in a structured way to an exceptionally high level, with the aim of providing angling in natural rural surroundings to the benefit of the carp, the angler and the environment. So please don’t expect mains water, electric, shower block etc. 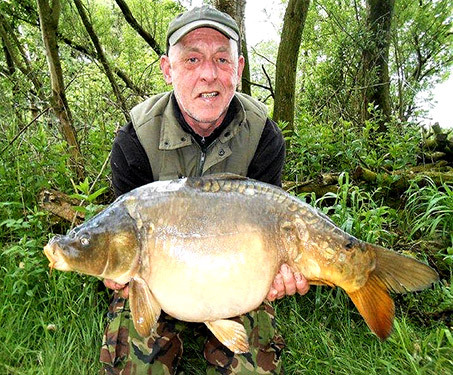 In 1992 Steve helped to found one of the first carp Syndicates in the North East, namely Aldermere Carp Syndicate, he has been involved with the management and development of the Syndicate ever since, and has been one of the Syndicate Controllers since 2002. 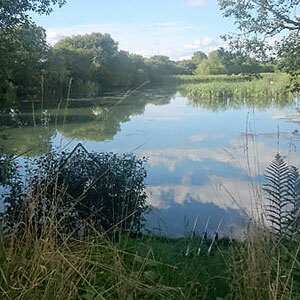 Aldermere now controls, arguably two of the best Syndicate Lakes in the Northern most counties, these waters regularly produce many personal bests each year for the anglers fortunate to have a ticket. After so many years of being involved at the sharp end of fishery management Steve now considers himself to be a ‘knowledgeable amateur’ who is still very keen to learn more about carp and their environment. Steve’s infectious enthusiasm for all things ‘carpy’ and his damned hard graft during work parties has earned him a worthy reputation! A well know angler and fishery manager in the North West. In the early 1970’s Chris served as junior Committee Member of the Border Coarse Angling Club, went on to serve on the Committee of the Carlisle and District Coarse Angling Club including a spell as Secretary in the late 1980’s, he also represented the Club on the River Eden and District Fisheries Association’s General Purposes Committee and went on to represent the regions coarse anglers on the Environment Agency’s Regional Fisheries Ecology Recreation and Advisory Committee, he also wrote the angling column for the Cumberland News between 2000 and 2017. Chris manages Netherby Clay Pits carp Syndicate where he has been one of the Syndicate Controllers since 1996. 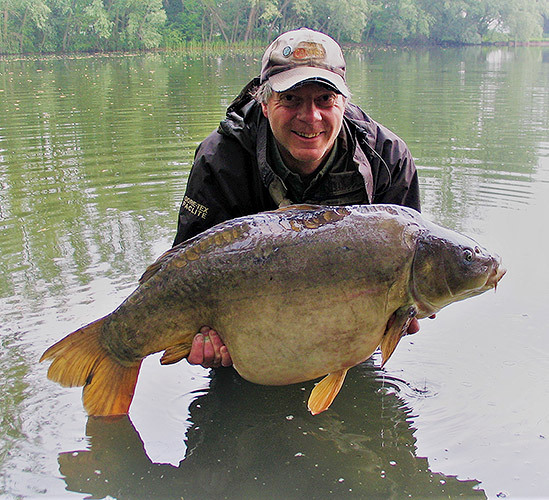 Passionate about angling, the environment and the positive benefits it can bring to people, Chris established his own Fishery Management Consultancy and Angling Coaching and Guiding business in 1999. 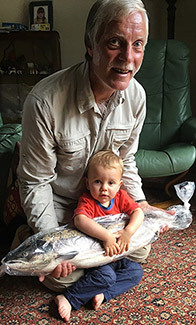 Between 2005 and 2017 he served as company Secretary for Borderlines a not for profit company which provides angling, environmental education and angling sessions to young people, the disabled and those who may be disadvantaged in some way with the aim of introducing them to angling and the freshwater and marine environments. Chris continues to serve as an angling instructor for Borderlines whose services are available for hire to private individuals, groups and corporate sponsors which generates some of the funding required to provide angling, environmental education and angling sessions free of charge to worthy causes. Whilst his passion is the freshwater environment and its associated flora and fauna, particularly specimen coarse fish, Chris enjoys all forms of angling in his spare time. Although Andrew no longer fishes for carp he is a particularly dedicated and accomplished salmon angler. He is currently Honorary Secretary of Hexham Anglers’ Association, a position which he has held for in excess of fifteen years, prior to this he served on the HAA Committee. During this time Andrew has become well practiced in the ‘behind scenes’ work required to successfully manage one of the regions longest established Game Fishing Clubs. The Team have a vast network of friends and colleagues that have contributed to get to this point! Huge thanks must go to them, and to everyone who has committed their time and effort or have donated materials to make this happen! to fish in the North Eastern and Western regions of England.